Social workers are an integral part of interdisciplinary teams working within clinical, research, and educational settings throughout the Division of Child & Adolescent Psychiatry. Social work training opportunities are primarily with the Children’s Day Unit (CDU), part of the Pediatric Anxiety and Mood Research Clinic (PAMRC). NewYork-Presbyterian (NYP) also coordinates field-placement opportunities in our outpatient clinic sites for social work trainees. At the CDU, graduate social work interns are active members of a multidisciplinary team that provides services to adolescents who receive intensive psychiatric evaluation and treatment. Interns are supervised by the social worker on the CDU, an LCSW, who is also clinical director of the unit. In addition to providing family assessment and intervention, social work graduate students serve as primary therapists for some cases, assuming responsibility for treatment planning and implementation. Planning for discharge is given priority from the time of admission, to ensure appropriate after-care once stability is achieved at the CDU. There are also opportunities for interns to become involved in the treatment aspects of research studies. This training opportunity is provided through the Social Work Department at the New York State Psychiatric Institute (NYSPI). 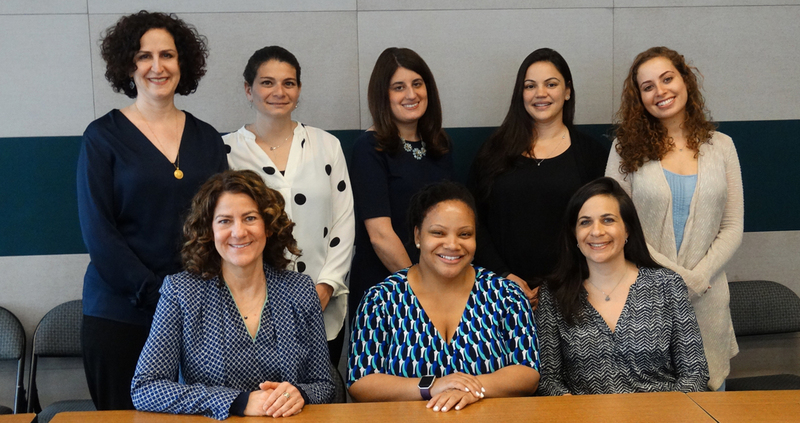 Social workers at NYSPI and NYP provide individuals and families with effective and compassionate psychosocial treatments, while at the same time supporting the mission to advance scientific knowledge about child and adolescent mental disorders and evidence-based interventions. As part of the team at the Division of Child & Adolescent Psychiatry, we are committed to delivering quality care while striving to improve existing services for our patients and their families.